Learning is daunting – no matter who you are, what position you hold, or how old you become. The truth is studying is a commitment, like anything in life, and you need to dedicate your time to worthy pursuits. Time, after all, is a precious commodity. Consider obtaining a qualification from Saïd Business School, University of Oxford, known as a “world-leading centre of learning, teaching and research and the oldest university in the English-speaking world.”1 Oxford Saïd strives to educate people for successful business careers, and alumni are highly sought after.2 This prestigious qualification could solidify a career dream into an attainable goal. GetSmarter, a brand of 2U Inc., offers a range of online Oxford Programmes for this very reason. Achieving your aim of studying while having a full-time career can often seem too challenging, especially when you’re conflicted between wanting to fulfil that dream, but you’re hampered by various commitments. As with anything, before you can start achieving a goal, you have to plan to achieve it first. Time management is an important part of this planning process. What if you had a dedicated Student Success Manager in your corner, supporting you to help make that reality come true? 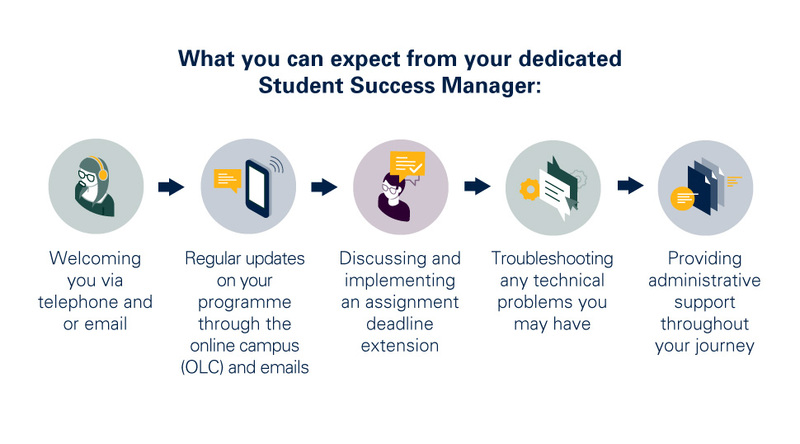 There are various ways to manage your time around your studies, and your Student Success Manager can assist with planning that too. As Success Managers are available during university hours, a Global Team of Success Managers are also on point to handle all participant queries after hours. Regardless of geographical time zones, and even for issues with last-minute assignment submissions, you’ll always have a support network available at all hours of the day and night. We don’t want participants to be waiting on anyone or to be passed around. Each participant is provided with their own dedicated Success Manager as soon as they begin their programme. Familiarise yourself with your programme – each programme has a one-week Orientation Module which contains core information about the online campus, support and teaching teams, programme requirements and policies in the programme handbook. 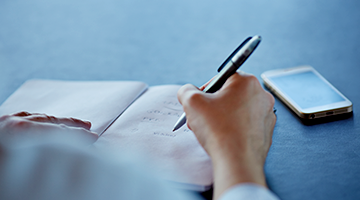 Plan ahead – each module is broken down into manageable units of activities and you are provided with an estimated learning time per activity. Access and export your programme calendar, which includes all assignment due dates to factor into your schedule. When encountering obstacles to learning, reach out to your Success Manager timeously – the sooner you reach out, the more personalised support options will be available to help you overcome barriers and successfully complete your programme. Your cohort is a tangible benefit, even on an online programme. One group of online Oxford Programme alumni from the Oxford Fintech Programme used their global peer network to create an opportunity to develop an organisation known as Gig9, “by establishing a direct connection between users and local service providers” using blockchain. This success story could be yours. Utilise the toolkit provided to keep your online learning journey productive, and earn a certificate of attendance. When it comes to group work, we can mediate discussions but the ultimate responsibility for facilitating conversations with your group, lies with the participant. Otherwise the participant runs the risk of losing a crucial learning opportunity and not completing the requirements for their assignment.